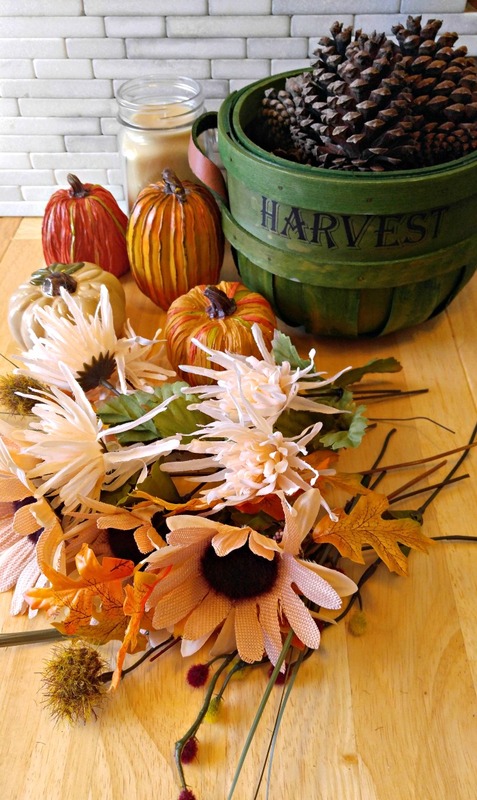 Easy Thanksgiving Centerpiece – Recycle Reclaim! 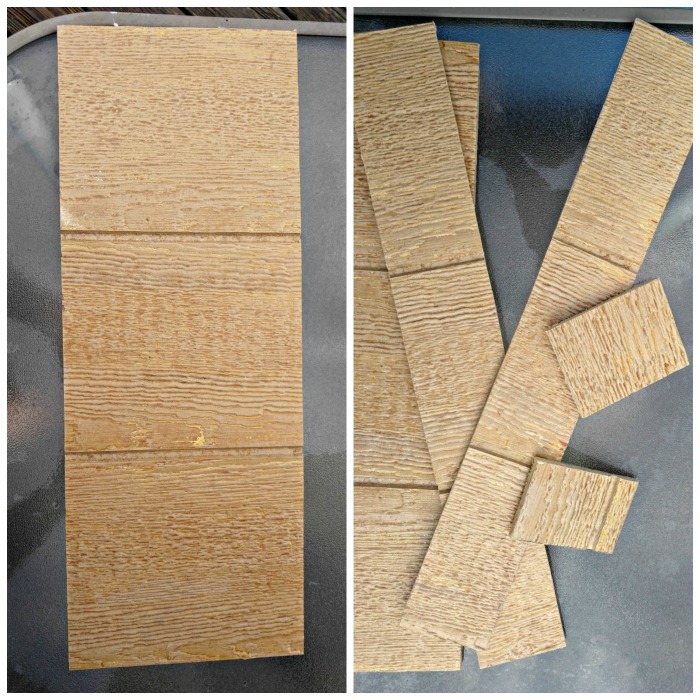 Today’s project uses some old barn board style wood to make an easy and very inexpensive Thanksgiving Centerpiece for our dining room table. My husband and I are in the middle of renovating our kitchen and other areas of our home, so we have a lot of bits and pieces of wood that is just lying around waiting for me to do something with it. Our table is very long. It is an antique piece that we purchased last year as a Christmas present to ourselves and can seat 10 people around it, so the Thanksgiving Centerpiece also needs to be very long to look right in the middle of it. I also wanted the centerpiece to be interchangeable so that I can redo it for the Christmas holidays too. 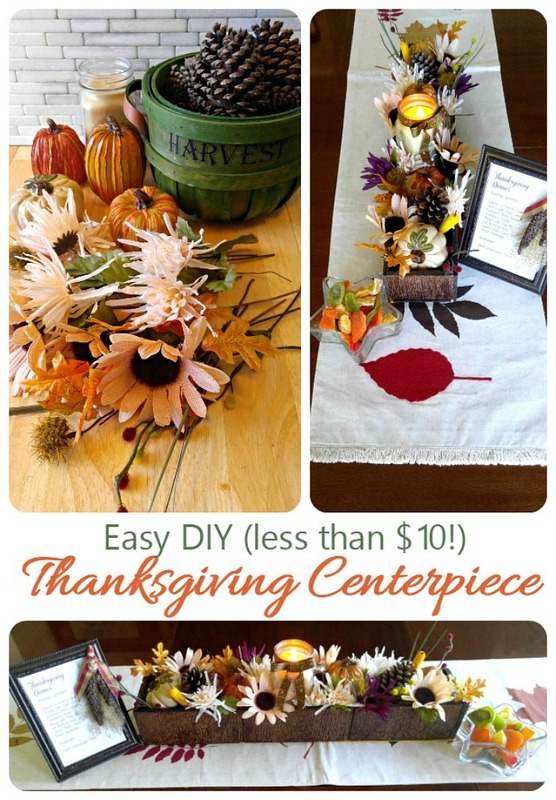 It’s time to make an easy Thanksgiving Centerpiece! A trip to my local Dollar Store, a raid of my craft supplies and a quick sweep around my front pine tree gave me the few supplies that I need for this project. I started by measuring and cutting the reclaimed wood to the sizes that I needed. Making the box was a simple as just lining up the edges and using small nails to position the pieces into the rectangular box shape. My husband had made me a lot of photography boards in various wood colors, so it was just a matter of choosing a color that I wanted and staining the box with some walnut wood stain, both inside the box and on the outside. Fitting floral foam into the box is the next step. It is easy to cut and I wanted the whole box inside to be covered with it. I wanted my decoration to sit up high in the box, and adding the foam also meant that I didn’t have to add as much in the way of greenery (making it less expensive to make but still lush looking). The foam also gives me a place to position the stems of my greenery to arrange them nicely. After the box had thoroughly dried, I cut felt to fit the bottom and hot glued it in place. 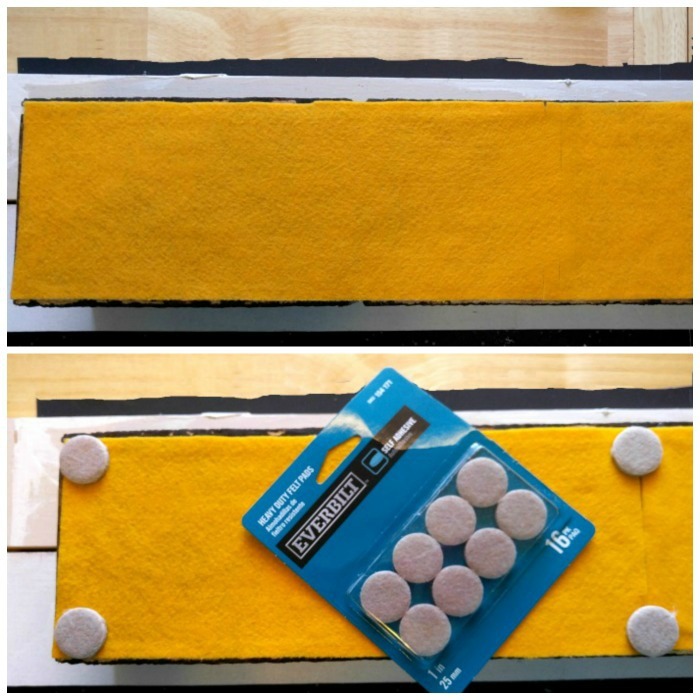 I also added 6 1″ sized felt pads – one on each corner and two in the middle of the box to protect the furniture. Now comes the fun part. I love arranging anything floral. I started by adding my candle and my small pumpkins where I wanted them, angling some of them slightly. Then I just started on one end and arranged my greenery in a pleasing effect, filling in the empty spots. I finished one side first and then tried to mirror the effect on the other side, facing in the opposite direction so that both sides of my table would enjoy the look of the Thanksgiving Centerpiece. 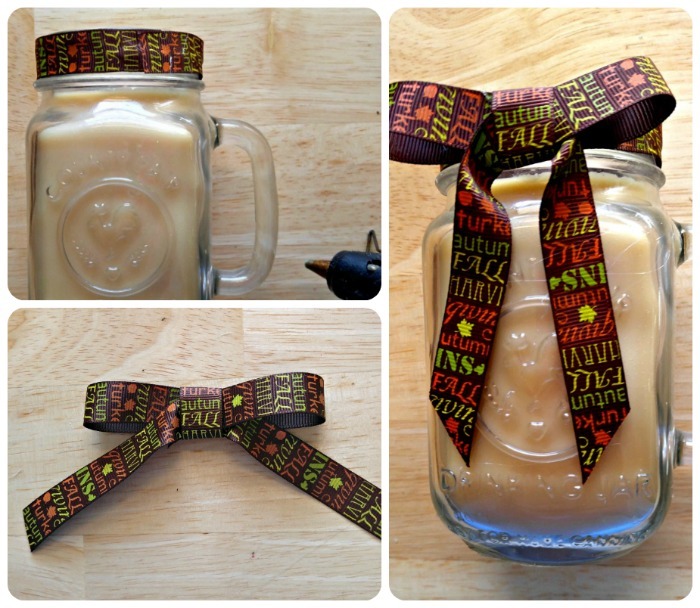 The final step was to add some autumn ribbon to the neck of the Mason Jar candle and make a bow on it. I spot glued the ends of the ribbon in place on the candle jar. Now it was time to see how it looked on my dining room table. 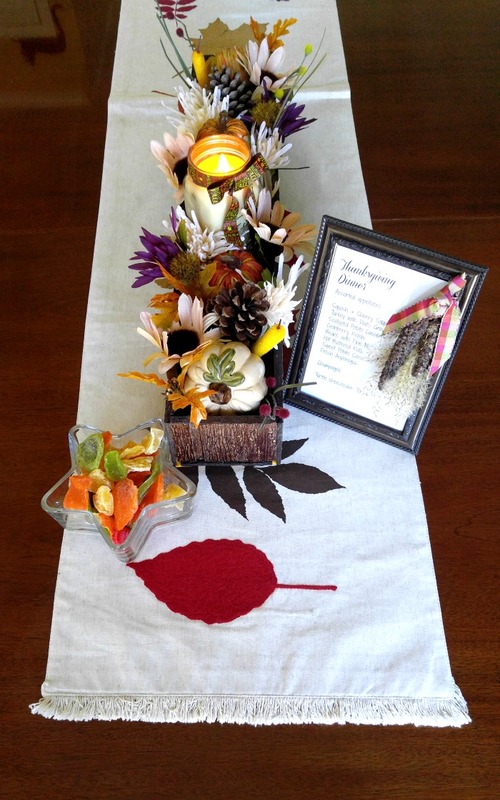 I used a long autumn leaf runner under the Thanksgiving Centerpiece. The centerpiece is very balanced on the table, taking up most of the middle of it and still having an equal amount of table on either side. I added a bowl of autumn colored treats and my Thanksgiving Framed Menu (see this project here). The table is decorated beautifully and just waiting for me to add my Thanksgiving food to it. Can’t wait! One of my favorite things about this Thanksgiving Centerpiece is that I can easily change it out in a few weeks to decorate for Christmas by changing the greenery. This is how it looks for Christmas! And here is the spring centerpiece filled with peonies, hydrangeas and mums. 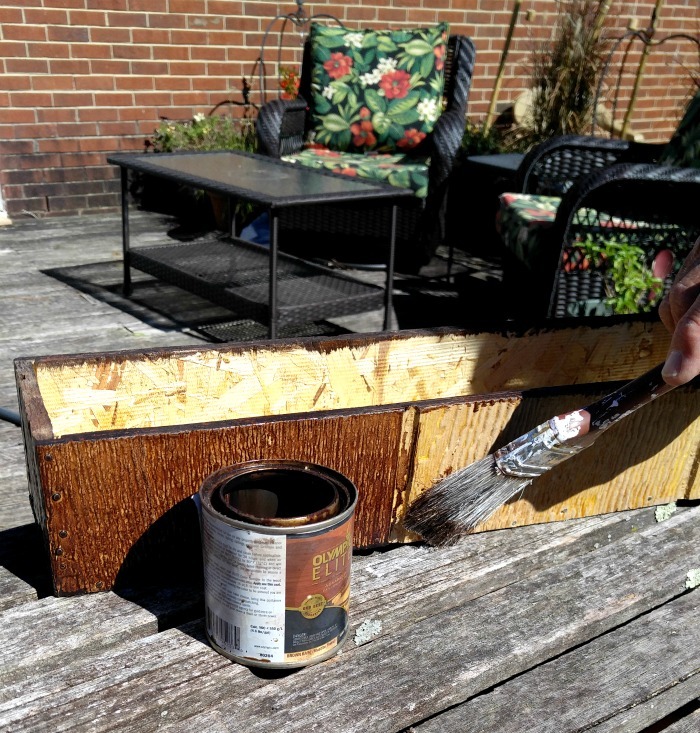 Have you used reclaimed wood in any of your holiday projects? What things have you made from old pieces of wood? Tell us about it in the comments below. For more Holiday DIY projects, be sure to visit my Pinterest Holiday DIY and Crafts Board. Carol, Your centerpiece turned out lovely! 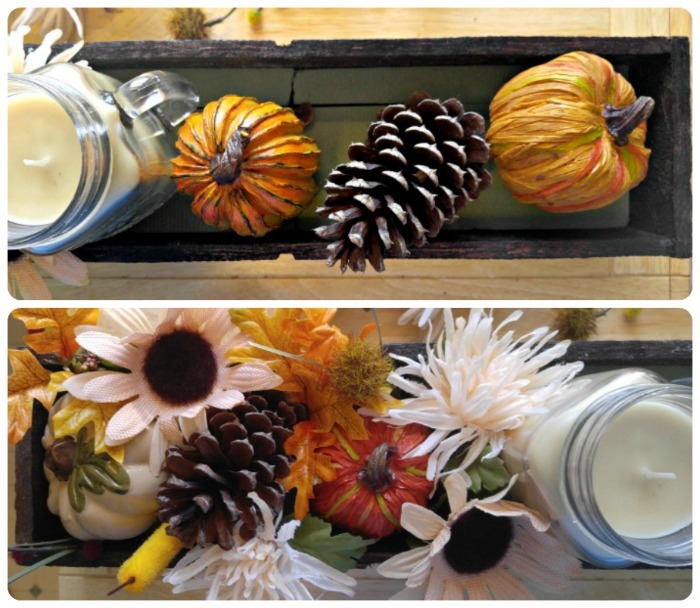 I love all the fall colors and the country charm the wood box adds.